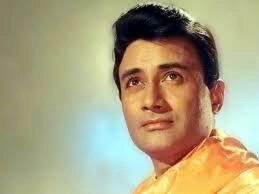 Born as Dharam Dev Anand in Gurdaspur Punjab, he debuted in Hindi film “Hum Ek Hain” in 1946. None could stop his quick march with film after films as the leading actor with a handsome, charming chocolate face and a matching height. During 1950-1970 period he dominated as the born Romantic, and continued his journey blending with Melodious music and meaningful lyrics which will remain hall marks of his long career. He has a tally of 113 films as an actor-producer-director. As the personified hero he gave 32 block-buster films; as a producer 30 films (own banner Navketan), 19 of which he himself directed. It is said that since late eighties, he could see only ‘one side of a coin’, but his agility and energy intact, he has produced inane films or miserable flops. His last film “Charge Sheet” was released barely two months back. But he did what he believed. His zest for film production was so strong that he never bothered about the commercial success of his films which made him a man of sterner stuff like his evergreen song ‘Jo kho gaya main usko bhulata chala gaya’ and continued not only his creative pursuit of film making but also briefly dabbled in the ‘Constructive democratic politics’ and then wrote a semi-autobiographical book aptly captioned as “Romancing with Life”, thus giving an indication that his agility and zest for creativity will not die with his advancing age. It appears God has stopped creating such lively evergreen humans. This writer had an opportunity to to talk to him after his 70th Birth day. This interview was published titled as “Live Wire Seventy- Dev Anand” and now is a part of my book “A Golden Sojourn of Bollywood Wonderland”. Thereafter, during last 6yrs, I met him 3 times but only at IFFI-Goa, hence could not talk much. Dev Saab, never ever compromised on his own beliefs and did what his inner-self dictated, whether on film making, association and even emotions. That had caused the dissociation of his two Anand brothers from Navketan. While the elder Chetan Saab guided and trained him ("Taxi Driver”, "Andhiyaan” etc.) the younger Vijay Anand (Goldie) truly blossomed him as the commercially successful actor ("Johny Mera Naam”, "Guide”, "Jewel Thief” etc.) with his writings and directorial talents. He was also groomed by the stalwarts like Gurudutt (“Baazi”, "CID” etc.) and Raj Khosla ("Pocketmaar" "Kaala Paani” "CID" etc.). He also romanced with SIX generations of heroines from Suraiya-Waheeda Rehman to Hema Malini. As the philosophy he also accepted in life “Jo Mil Gaya Usi Ko Muqaddar Samajh Liya”. As a born romantic he had had flings but he never allowed to reflect it on duty towards his family, in spite of the long persistent illness of his estranged wife Mona Anand. He firmly believed and created his own ideals and convictions. He always dressed and acted in his own style, making films of the type his conscience dictated and Lived life king size with feverish activities. That made him a role model in life style and living. He never worked for awards or rewards (Padma Bhushan, Dada Saheb Phalke, Life Time Achievement and several other awards and honours), but his shining contribution fetched them. Lautkar Wapas Chala Jaawoon Ye meri Fitrat Nahi”. And indeed only the DEATH could stop him. Oh, God ! Just give us 10 percent of the zest and energy you gave to that legendary actor film- maker Dev Anand. Amen ! This was such a heartfelt tribute Mohan ji. Really wonderful. I had met him on a few occasions. My father and he go back a long way. They knew each other since the 50"s. December 4th was also my father"s death anniversary.. so the bond goes on I presume. A gentleman superstar....which is very rare. He is all that and much more..... I have worked with him. Your Tributes to Dev Saab.